The world of smart phones also have to reinvent itself. This is what we should think about Nokia at the moment, although there have been many leading companies that have designed smartphones or even simple phone adapted to a theme, character or specific fashion. At the time Samsung designed a Samsung Galaxy S SCL pink , in a solidarity campaign against breast cancer. Alcatel was able to renew its fleet of simpler terminals incorporating SpongeBob in their housings and LG came to wear their smartphones equipped with designs truly luxurious. Now Nokia has sought to make their own entry into the world of smartphones customized. 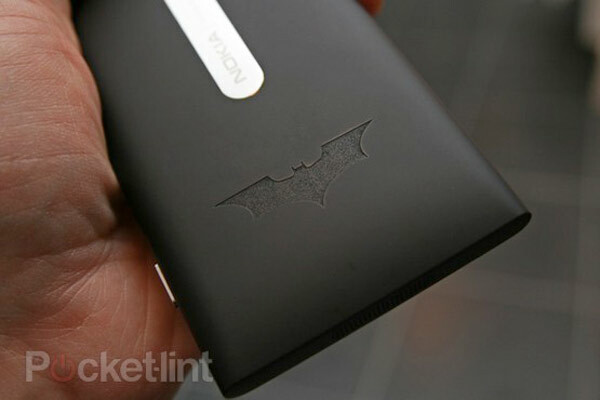 The latest news is that Finland will present a limited edition Nokia Lumia 900 tailor-made for Batman fans. Yes, beyond the Batmobile and next to the large collection of devices that have the superhero, we are now ready to purchase a smartphone film, which runs over Windows Phone . The medium PocketLint was the first to report this launch, but a few hours after Nokia has decided to enable a subscription page and promotion for the new device. 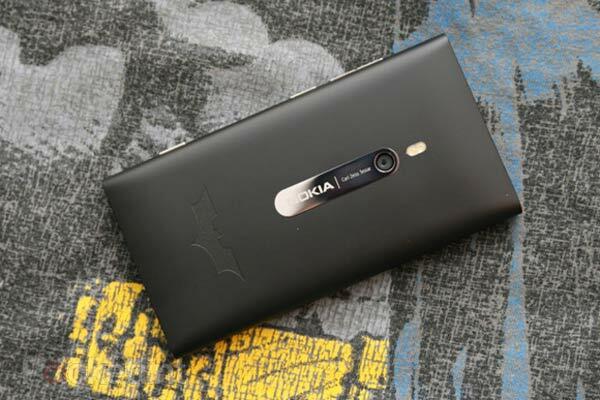 We know, first, the Nokia 900 Edition Batman Lumia come equipped with a polycarbonate shell and bearing the Batman logo engraved on the back or rear. The company has not mentioned at any time the words "limited edition", but the truth is that everyone has the impression that few units will eventually reach the market. The phone is shipped in a matt black box with a colorful Batman logo stamped on top. Best of all, has already announced the availability of the phone in countries like UK, Germany, France and other European destinations. We have not yet been confirmed whether Spain will be lucky in these countries, but we will be looking to advance any new developments. Nor have advanced details on the price, so you should be aware of releases that may occur within these companies. 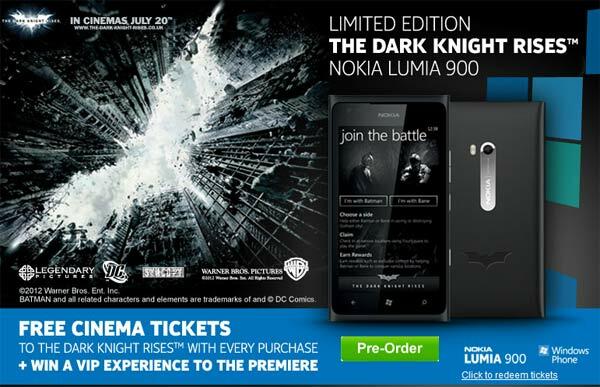 The promotion also includes some movie tickets and a VIP experience at the premiere of the movie The Dark Knight Rises. It is hoped also that the phone has the same technical features that the Nokia Original 900 Lumia. In fact, do not expect any significant change that goes beyond the design. Complies with dimensions of 127.8 x 68.5 x 11.5 millimeters and weighs 160 grams. It has a screen AMOLED capacitive touchscreen of 4.3 inches and has a resolution of 480 x 800 pixels. Is 16 GB of user memory (useful for storing all types of files and applications) and about 512 MB ​​of RAM. The camera has an eight megapixel sensor, so that we shall obtain high quality images and even videos in high definition. Runs through the operating system Windows Phone 7.5 Mango and a 1.4 GHz processor. How could it be otherwise, is perfectly compatible with all the connectivity options: 3G , WiFi , Bluetooth 2.1 and up NFC (Near Field Communication) file sharing and synchronizing data in one touch. The phone has not been offered for sale in our country, so chances are that the Nokia 900 Lumia edition Batman arrives just after the original device.